ST. LOUIS, MO, Nov. 10, 2016: NWL STL recently agreed to terms with wrestling superstar Jake Dirden, who will compete in St. Louis as Jack Foster. League president Major Baisden, who oversaw the proceedings during a recent press conference at NWL Headquarters in downtown Kansas City, hailed Foster’s signing as one of the League’s biggest yet. 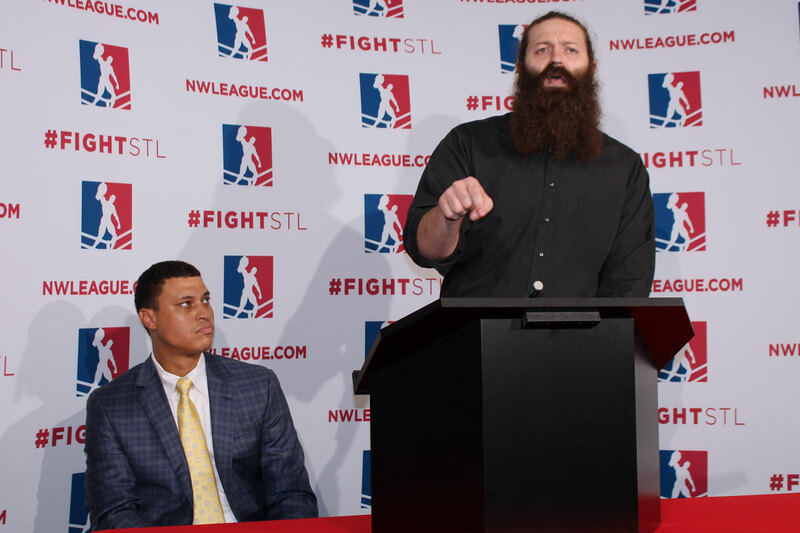 Foster, who patterned his style after the legendary Bruiser Brody, views NWL STL as an opportunity to cement his legacy as one of the best big men in the business and take wrestling back to its roots. This entry was posted on November 9, 2016 at 11:01 pm	and is filed under Uncategorized. Tagged: Jack Foster, Jake Dirden, NWA STL, NWL. You can follow any responses to this entry through the RSS 2.0 feed. You can leave a response, or trackback from your own site.